My crew later told me I looked like death as I rolled into the Mile 49 (Yeon) aid station six minutes behind the leader. I was feeling tired and thirsty, but not dead yet. 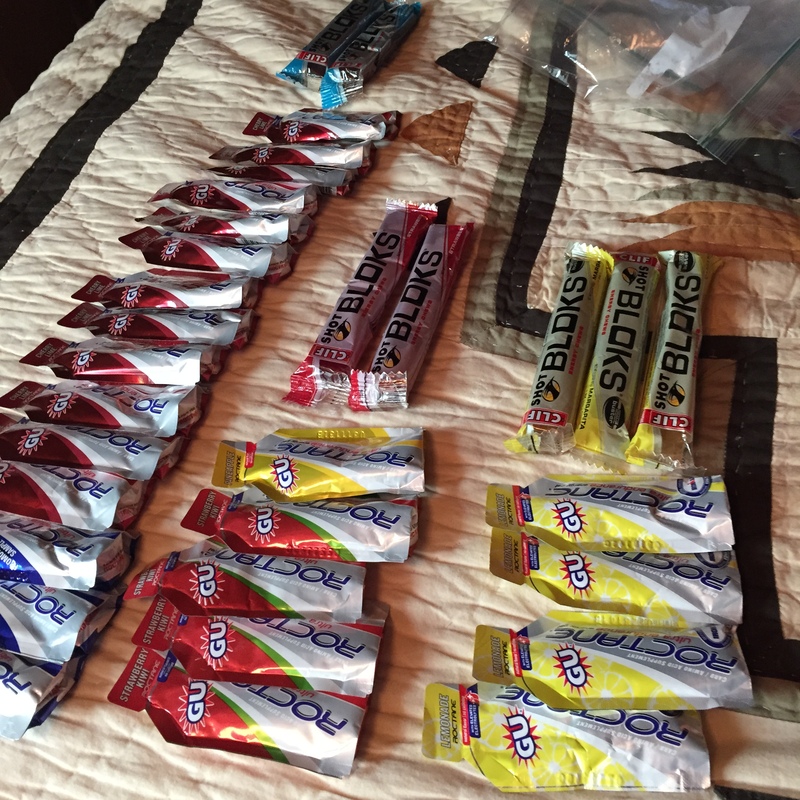 After slamming five cups of Coke, I was pushed out of the aid station with 10 gels, 12 Shot Bloks and 32 ounces of water shoved down my shorts. After all, if I was carrying enough fuel in my shorts to supply a high school track meet, it certainly could get me through the next 13 miles. I left and started down a stretch of road and back into the woods. It was time to grind. From the road to the woods was something I was familiar with. After a couple years of pounding pavement at everything from 5Ks to 50Ks on the road, I found my way into trail racing. 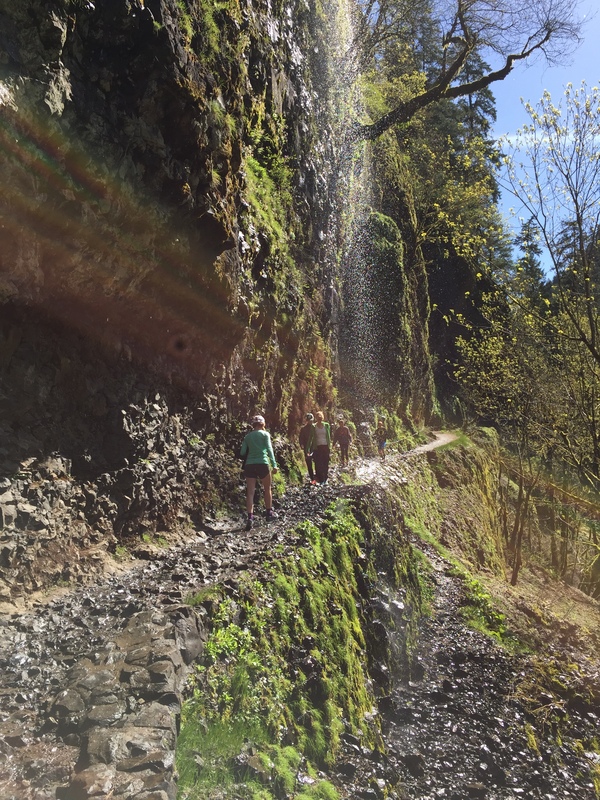 Gorge 100K would be my first attempt at 100k, like North Face Endurance Challenge San Francisco had been my first crack at 50 miles. 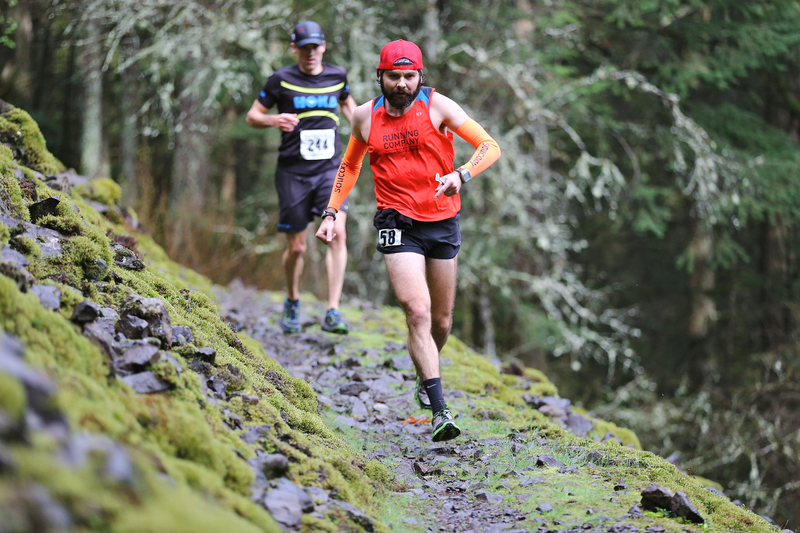 After pacing Jorge Maravilla at Western States last year, and feeling strong at North Face 50 last winter, I was determined to reach the start line at Squaw one way or another. 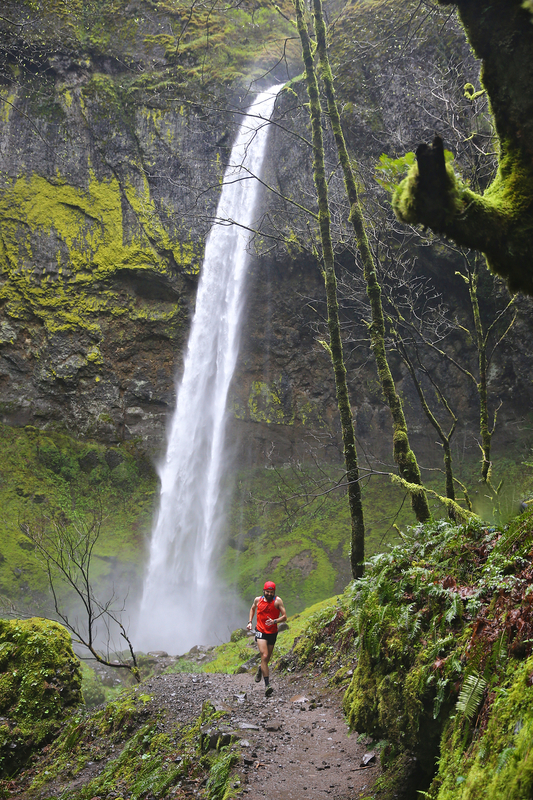 I singled out Gorge Waterfalls as my goal race. Being a Montrail Ultra Cup race, the top 2 male and female runners would go to Western and the race looked spectacular (see the GingerRunner video on Youtube to find out for yourself!). I planned to race my way into Western. I registered knowing there would be tough competition for those top two spots, but I would be ready to fight for one. Drew and Jenny scouting the course from Cascade Locks aid station the day before the race. Training for me over the last few years has been centered around squeezing in runs when I can. Because of my busy schedule as a Radiology resident, runs are often squeezed in at odds times. At times on call, I have resorted to running loops around my block at 11pm carrying my pager (yes we still have pagers) or climbing stairs at the hospital. Most of my runs are very early or late, with many miles in the dark. Some of my early morning runs also had the added benefit of the company of Mario Fraioli. We started something we call 6@6 (six miles at six am). Meeting early gets of both out of bed and the camaraderie, the coffee and conversation kept us coming back. Mario and I also attempted weekly workouts, but we kept a high level of flexibility that busy lives demand. In the end, I ran when I had time, I ran hard when I felt good, and I recovered when I felt tired. Pretty simple. Mario showing me how it’s done on the downhill. 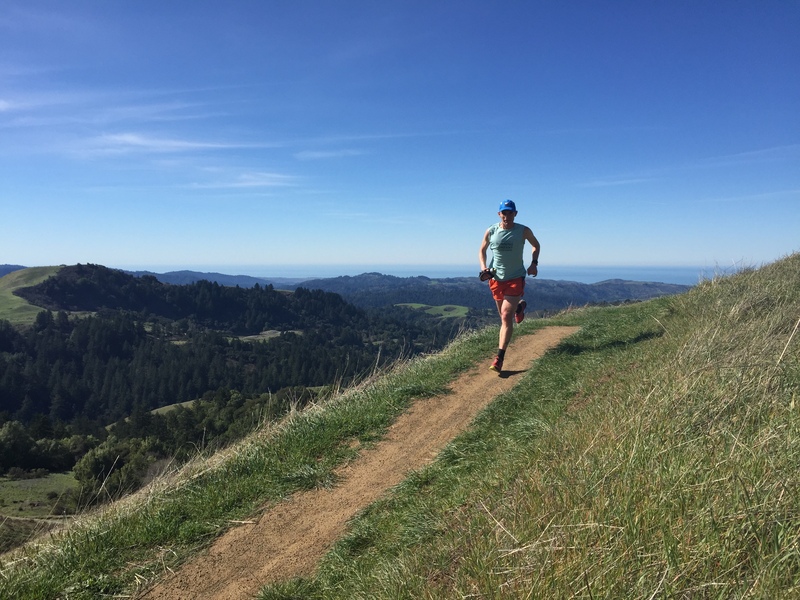 When I had a weekend off, I would head to Marin to roll with the San Francisco Running Company crew. These guys and gals are fast and have started to feel like family over the year and a half that I have lived in the Bay Area. 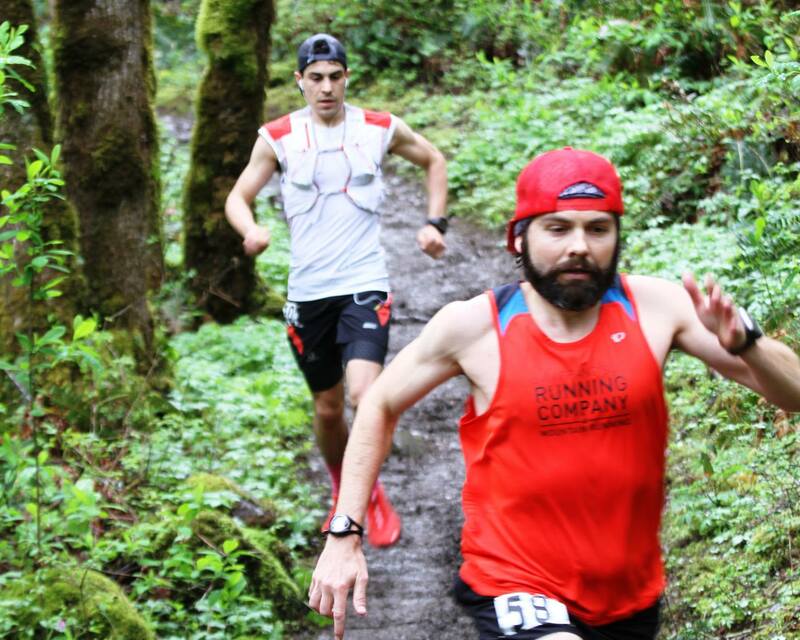 Running a couple times a month with elite trail runners like Dylan Bowman (DBo), Alex Varner, Jorge Maravilla, and Brett Rivers can get you fit. This supportive community, the year round running, and the beautiful trails make training with limited time work just fine. 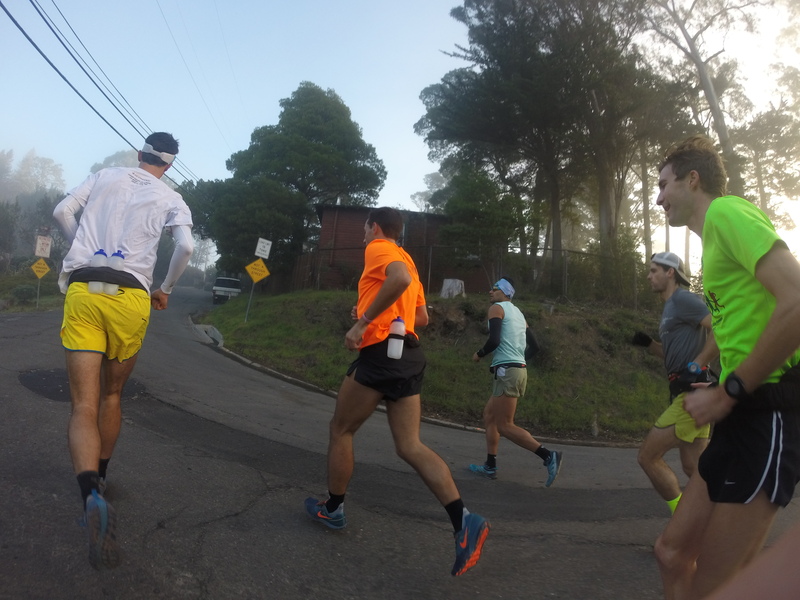 Starting a Tam Hill Climb with the Bros: Left to right DBo, Varner, Jorge, Brett, and Michael. Fast forward a few months and you have me sitting in a dark car, 15 minutes before the start of Gorge 100K, making what felt like the biggest decision of the day. Which socks do I wear? Go with a new pair, or go with the fancy new ones that have not been race test? So much to decide…15 minutes before race start. Did I mention it was 3:45AM? 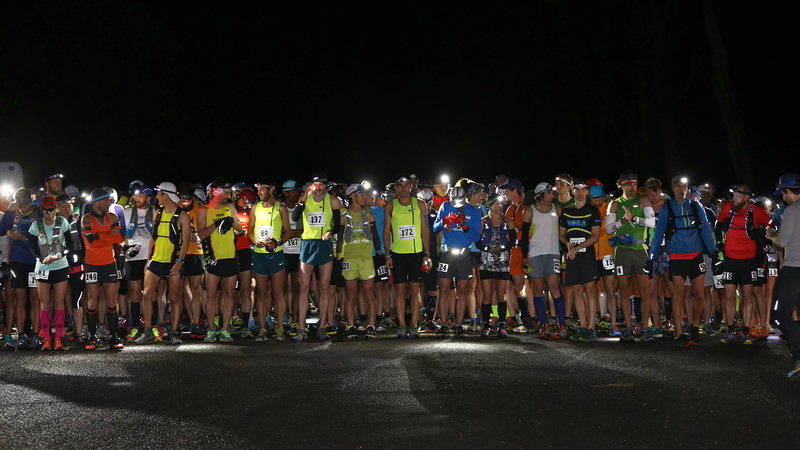 The race finally started and a couple hundred headlamps sped off into the dark woods. The first few miles, I was hanging behind the lead pack. All those neon Nike race kits were easy to see in the dark. We were all running comfortably up the first climb. I was in shorts, a singlet, arm sleeves and gloves to start, which ended up being a good combo for the slightly chilly and damp morning weather. I planned to “run my own race”. I ran comfortably with the group on the first climb and then felt like I was moving really well on the technical downhill sections. I eventually found myself in second place coming into the second aid station at mile 13 (Yeon), which would also serve as the mile 49 aid station on our return. I felt good going into this aid station at mile 13, ready to tackle some of the technical terrain ahead, still without the benefit of sunlight. My “crew”, was basically my girlfriend Jenny, who had planned to meet me only at Cascade Locks (miles 22 and 40). This aid station was very close to where we were staying and easily accessible. 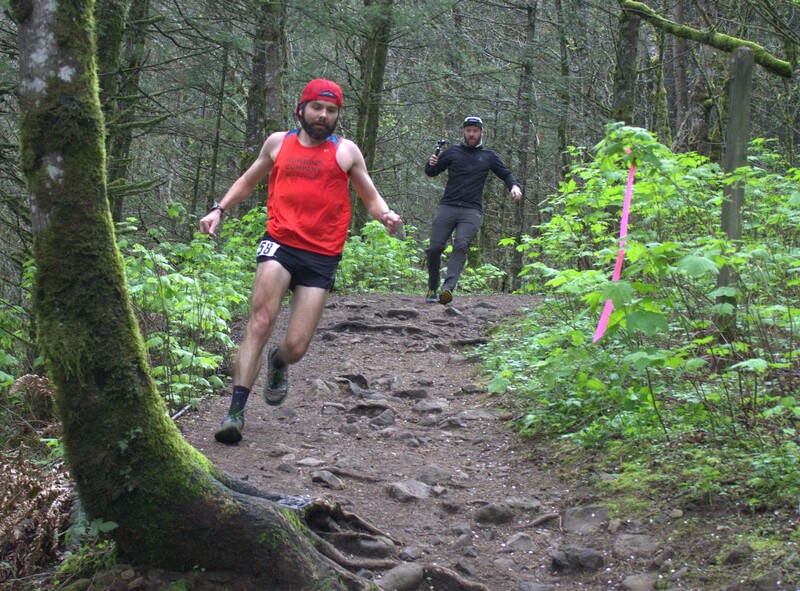 We had a good crewing plan going into this race, with the proper number of gels, calories from Tailwind, balance of electrolytes and caffeine waiting for me at Cascade Locks aid twice. The thing about ultrarunning is you can plan as much as you want, but always expect to have to troubleshoot and be flexible. Somewhere between Yeon and Cascade Locks things went off track. 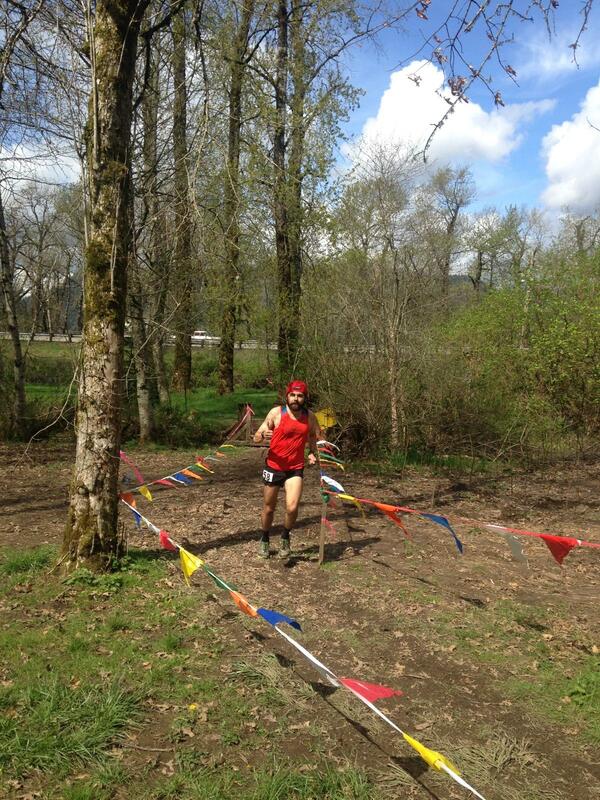 I was running in second place behind Ben Stern, and followed by Bob Shebest, Justin Houck and Mario Mendoza. Ben was far enough ahead that we didn’t even see him take the turn, but we followed an arrow that was pointed up a steep stretch of loose rocks to join a trail above. This scramble seemed out of place given the rest of the race, but was clearly marked with pink ribbon, the same ribbon used to mark the course. So we climbed. Just before we reached the peak, we saw Ben come running down from the top saying that it lead to nowhere. We all took a look and also realized there was no continuance of the trail. Something was wrong. We decided as a group to descend the peak. On the way down, we ran into the chase group of a few other runners, including Jeff Browning, Gary Robbins and others. Jeff immediately suggested we wait for the local racer, Yassine Diboun, to guide us. It was a unique experience to be standing around with top 10 runners in the middle of a competitive race. Yassine ended up figuring out which direction to take, whistled to us to follow him (that guy can whistle), and the race was back on. 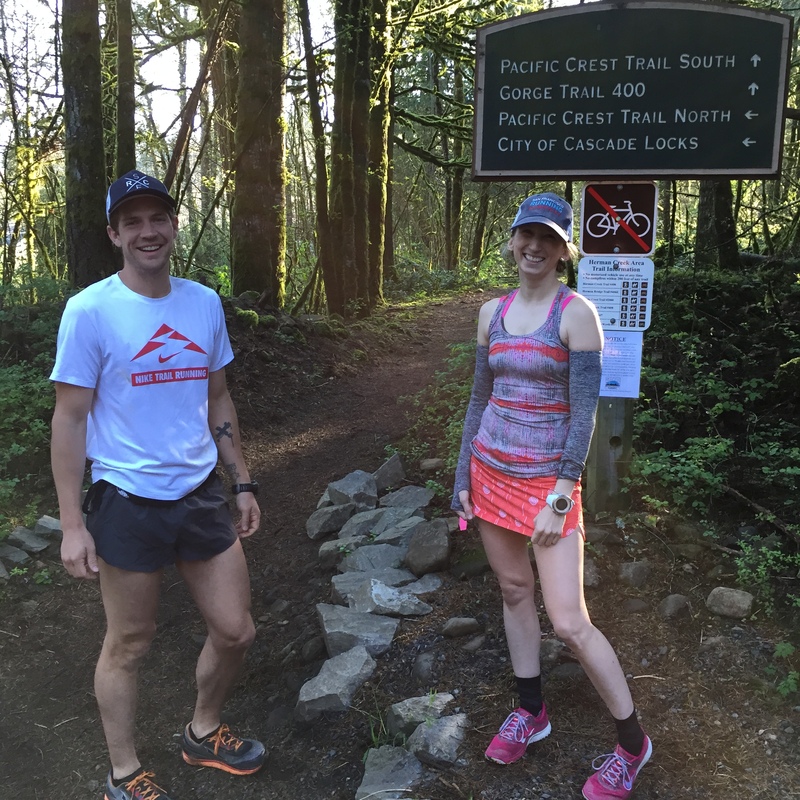 As we made our way to the next aid (Cascade Locks miles 22), Justin and I found ourselves running together. At that point, we realized we had met once before during North Face 50 back in December. It was mile 45-ish and we were climbing Marincello (the notorious “$10,000 hill and the last climb of the race). Justin had gone out hard with the lead pack and was suffering when I caught up to him on the climb. I encouraged him to run up the climb with me but got no real response from him. Turns out, he actually remembered that interaction and thanked me. Well, now our encounter was a little different. North Face was my backyard, Gorge is pretty much Justin’s though he had never been on the course. And as it turns out, Justin is a great climber! We ended up working together through the latter part of the race, him pulling me on the ups and me pushing him on the downhills. I edged him out at North Face and was hoping to pull out a similar result here, though working as a team seemed to help us both and in the end, two people could get golden tickets. For the next 10 miles, we were all cruising. I’m not sure if you should be running this fast during a 100k but we were. Though we were running pretty fast, I didn’t feel like I was taxing myself too much at this point and it felt good to stay with this lead pack. At Wyeth aid, I was surprised to see Jenny there since she was supposed to stay at Cascade Locks the whole day. It turns out after seeing how fast the top runners were moving through aid she made the decision to try to meet me at all the remaining aid stations to avoid putting me at a disadvantage against other racers with crew. Bob, who had come into Wyeth in first (with myself and Justin nipping at his heels), must have spent less than 10 seconds at the aid station and was out just as fast as he ran in! I thankfully remembered to finally take off my arm sleeves, with Jenny basically pushing me out of the aid station after Bob. I knew that Bob and I could climb together but was glad to get out of the aid station before Justin, who was climbing so well at that point in the race. Bob and I ran together with Justin nowhere in sight and until I heard him creeping up from behind. He ran up to us wearing a new set of flashy red shoes and bright pink socks. I had to laugh. There isn’t much in this world as demoralizing to get passed by a dude who took an extra minute at aid to put on pink socks just so he could pass you shortly after. We reach the climb with Justin leading, Bob and I following. This started to feel like a theme for the rest of the race. But then we hit the downhill, I pushed a bit. I had been working on my downhill running since North Face. That additional training plus the help of my HOKA ONE ONE (Challenger ATRs) really allowed me to descend fast, passing Bob and catching Justin. At my second time through Cascade Locks at mile 40, my crew was there again and totally on point. We had a quick transition and I was back out and in the lead with Justin right behind. I was running well, felt strong and was cautiously optimistic that Justin and I would be able to run this thing in together. Quickly after the aid, I realized I could keep moving but did not have the energy in the tank that Justin had. He was moving well and I wasn’t able to comfortably keep up. This is when the whole “running my own race” plan had to come into play. So this is when I get to mile 49 aid (Yeon) and my crew thought I looked like death. Justin had put a bit of time on me and I was running into the aid station tired and thirsty. You know what helps when you’re tired and thirsty? Drinking as much Coke as possible, as fast as possible, while trying to explain to your crew to stop shoving more gels in your already full pockets. Apparently, I looked so bad that she thought I needed twice as many calories to get me to the finish in one piece. I couldn’t find the words to explain that my pants were already full of empty gel trash and I was just not focused enough to remove it. As I exited the aid station with excessive amount of fuel and fluids, my shorts were nearly falling off. This is the last time I would see my crew until the finish line. So that brings us back to the road, something familiar, but it seems like over the past couple years, the trails have felt more like home. I ran comfortably on the road but with cars passing by, there was nowhere to hide my suffering. I was happy to re-enter the woods a few miles later where I could silently grind out the remaining ten miles. Fortunately, I was also able to hand Skip Brand from Healdsburg Running Company some of my extra nutrition to lighten my load! 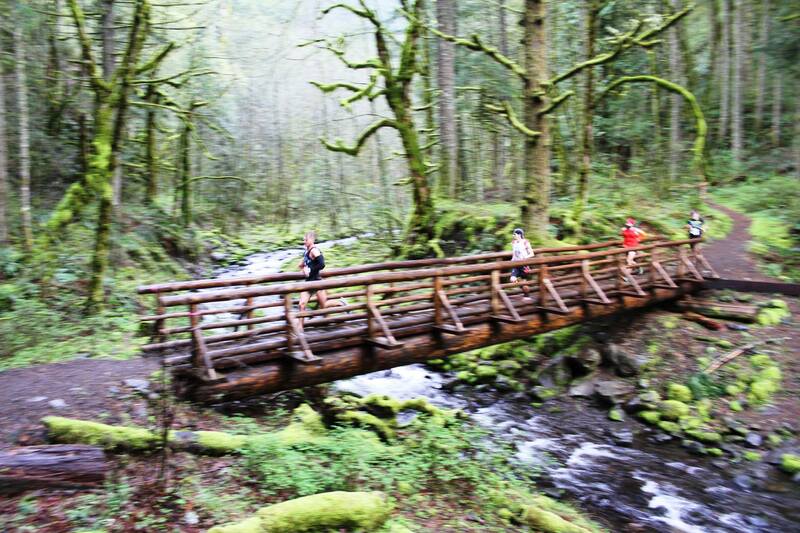 Trail running requires a lot of suffering. The remainder of the race hurt. The type of hurt that you can’t escape and can leave you in despair. I fell during this stretch. Not the cool kind of fall where you tumble and pop back up with mud on your clothes and blood on your face, but the kind where you are just too tired to fight gravity any longer and catch a toe and slow-motion crumple to ground. Maybe you catch yourself, maybe you don’t. It doesn’t even matter. The point is, I was less than ten miles to the finish of this race and I was on the ground. But I got back up, probably faster than I fell. And I did have blood on my face, for the record. I hit the last aid where there is no crew access. Only 6 miles to go. I kept telling myself, “it’s just another 6@6, you got this”, though none of our 6@6’s have climbs like the one that was about to rear its ugly head on. It was about 1500 feet of climbing in two miles. Real evil stuff, thank you James Varner. You are also running amongst tourists on these endless paved switchbacks. Some of them are very old, others have strollers, and they all seem to be going faster than you. I really had to dig deep to get through this section, let’s just leave it like that. Reaching the top, you can see the parking lot adjacent to the finish area. At this point, I knew Justin probably already finished and was having a celebratory beer. I took a brief look behind me to see if anyone had caught me on the climb, but no one was in sight. It was just me, my race and a few miles of downhill to the finish. I couldn’t have been happier to see that finisher’s chute. It was an emotional experience to be able to run this race how I did and finish with the result I had. 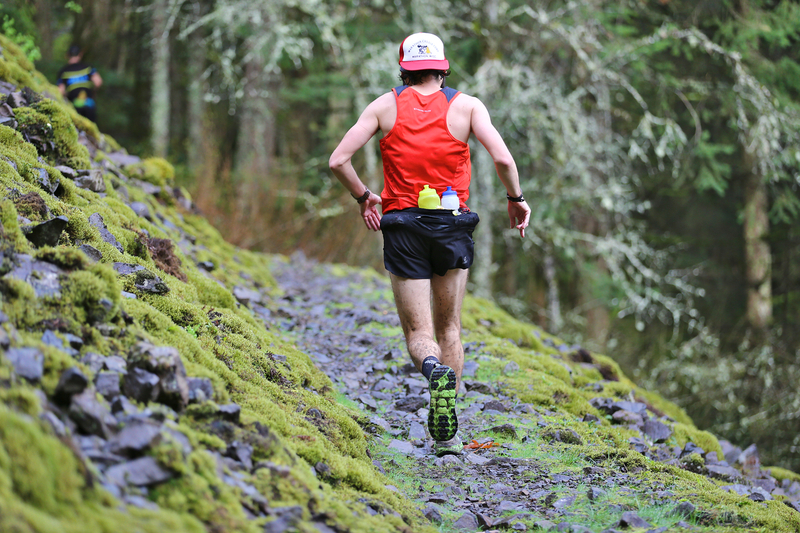 Running at Western States 100 was not only a possibility, or a probability, but was now a reality. See you in Squaw, Bros! My family and friends, who always support me. San Francisco Running Company Crew for giving me a running community that feels like home. Twin Cities Running Company Crew for the continued support from afar. Rainshadow Running and their volunteers for putting on a great event. Go do one! HOKA ONE ONE for their support as an Ambassador and for making shoes I love to run in. I left everything I had out on the course that day, including my last pair of Challengers, they did their job and died a good death. Can I have another pair now? UltraSportLive.TV for the great LIVE coverage. MY CREW and girlfriend Jenny. Thank you for all your support and keeping me running with shorts full of gel! You’re the best and could not have done it without you! Such an inspiring race recap, when I grow up I want to be as fast as you (but that’s likely only in my dreams). Seriously, BADASS! Jamie, Can’t wait to come back up to Portland to run (visit you). Congrats on the 50K, you rocked it. Congrats, from one MN native to another! Best of luck at WS! 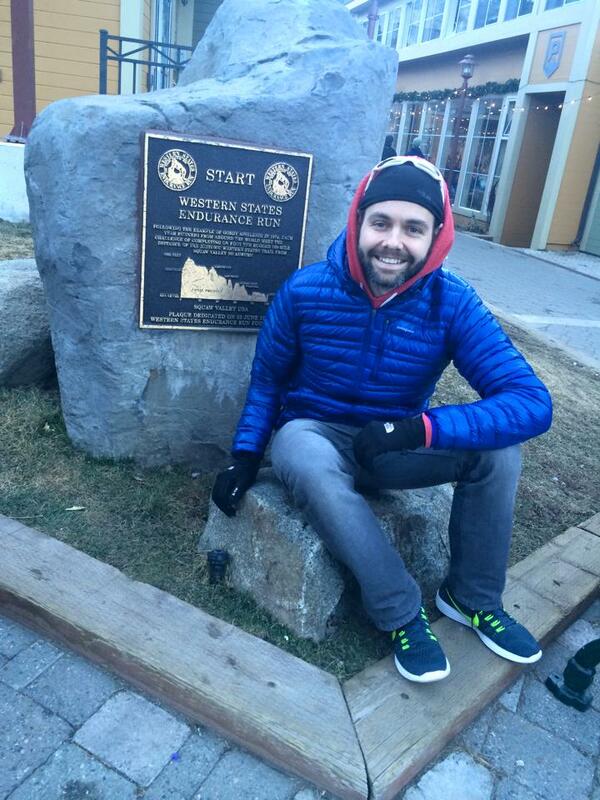 Great report dude – so stoked for your States entry…let’s party in Squaw! Great run! I remember the good ol’ days when we used to run together and I could keep up! Excited to see what you do at Western States. Always cool to see how far you’ve come. 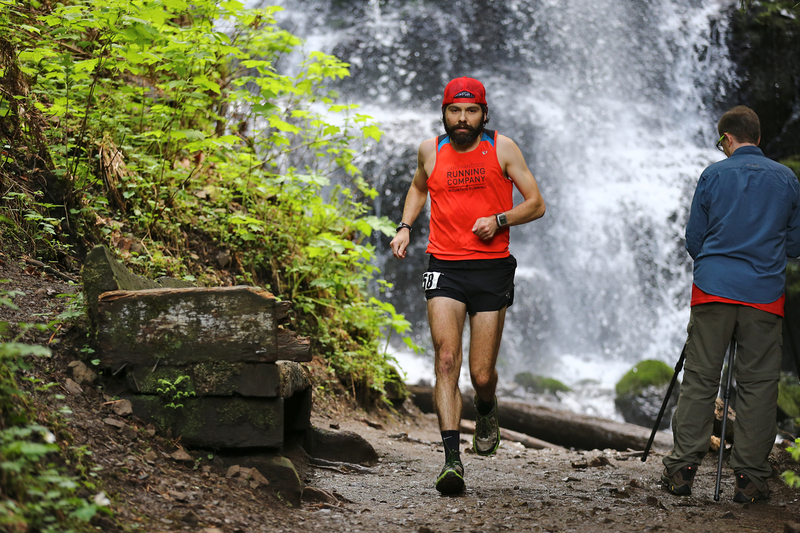 Trail Runner Mag: Who the heck is Chris DeNucci?